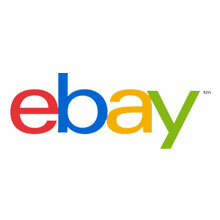 eBay has its roots in being the largest online auction marketplace, but now it’s so much more. With over 160 million users, eBay is an excellent channel for both small and large eCommerce stores. First you need to set up a seller account, verify your phone number, and set up an automatic payment method for paying your seller fees. There are several different kinds of seller accounts you can have on eBay, including a basic store (> 50 products), premium store (> 250 products), and anchor store (> 1k products). The costs of the different stores range from from $24.95 to $349.95 per month plus listing fees, which are usually 4-9% of the transaction price. Feedonomics has the ability to automatically feed your products to eBay through an API feed. That means as you add new products, or inventory and prices change, the changes will automatically be pushed to eBay. To do eBay categorization effectively, you shouldn’t be doing it product by product. Instead, you can use Feedonomics to create product groups like ‘t-shirts’ and map to the same eBay category. This can speed up the category mapping significantly.